I am Paul, 35yo, French. I work in Singapore as a banker. My level in Krav Maga is A1. After a trip to Philippines early 2014, I realised that some places can be quite unsafe and I decided to learn fighting skills in order to know how to protect myself, as I had never done any martial arts before. By chance, I found information on Krav Maga and went for my first class in May 2014. I have been practicing Krav Maga for more than 4 years now. These years of practice have been very fulfilling and I slowly reached a stage where I wanted to impart the knowledge I acquired. 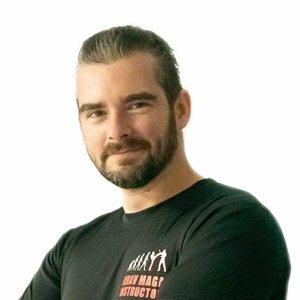 As such, I took the Civilian Instructor Course in August 2018, which helped me with an increased understanding of the mindset and the technique of Krav Maga. Now, my goal is to continue learning, improve my fighting skills and techniques and impart my knowledge to students.